J Mascis headlines tonight at The Waiting Room. 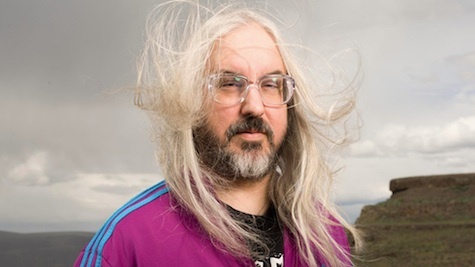 Big show tonight at The Waiting Room where Dinosaur Jr.’s J Mascis takes the stage. To give you a taste of what you might be in store for, Mascis’ set list from his Oct. 4 show in Louisville, KY, included five Dinosaur Jr. songs (including “Get Me” off ’93’s Where you Been, and “Ocean in the Way” off ’09’s Farm), a Mazzy Star cover (“Fade Into You”) and a Cure tune (“Just Like Heaven”), as well as solo number “Every Morning,” which is the first video off his new Sub Pop release, Tied to a Star (and the reason he’s on the road). Sub Pop labelmates Luluc open. $17, 8 p.m. The weather was perfect. The bands were awesome. And the crowd was… well, it could have been bigger. 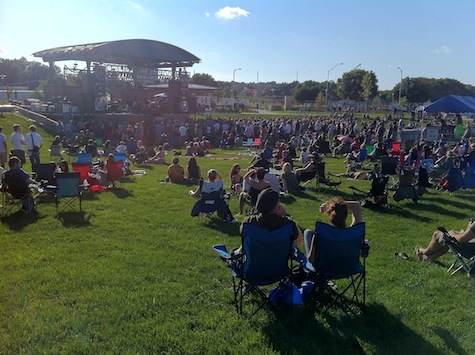 A disappointment, and yet, by all other accounts, this year’s MAHA, held last Saturday at Stinson Park in Aksarben Village, was a success, certainly from a fan perspective. I realized this about 15 minutes into Guided By Voices’ set, standing in a crowd of T-shirts and sunscreen and Coors Lites snuggled in red Kum & Go koozies, the sun just peeking over the western horizon after a long day of warm light, slight breezes, temperatures in the upper 70s — a perfect day weather-wise. By all accounts, by everyone I spoke with, MAHA was flawless. The bands and the stages and the sound were fantastic. You could not have asked for anything more… except, of course, for more people. The review: In addition to Guided By Voices, which flawlessly tore through a set of their finest (“14 Cheerleader Coldfront,” “I Am a Scientist” “Hot Freaks,” “The Official Ironmen Rally Song,” you know, the classics), the other main stage standout was — strangely, unexpectedly — J Mascis of Dinosaur Jr. Seated with an acoustic guitar on his lap, looking like a worried Mr. Natural in nerd glasses, long gray hair blowing in the afternoon breeze, Mascis leaned forward and played a blistering set that drew from his solo work and D. Jr. catalog, highlighting his intricate, ornate, gorgeous guitar work. His voice, a craggy, weary, heart-broken moan, sang of personal yearning while his guitar didn’t gently weep, but soared. Undeniably beautiful, but at the same time, desperate and utterly depressing. By mid-set, it was actually bringing me down. Mascis was quite a contrast to what came right before it — So-So Sailors on the “second stage,” located to the left (south) of the main stage and sounding somewhat better, thanks to an easing of volume and the natural earth barrier behind it. You could argue that the main stage sounded slightly overblown, overdriven, just plain too loud. By the end of the evening my voice was ragged from having to scream to talk to the person standing right next to me (no matter where I stood in the Stinson compound). Cursive crowds the stage at MAHA. Des Moines’ The Envy Corps launched the “big acts” on the main stage shortly after 1 p.m. to a smallish crowd that was still 10-fold larger than the typical early afternoon crowd at last month’s multi-million dollar Red Sky Festival. The Reverend Horton Heat followed with an omnibus career-spanning set of indie rockabilly. 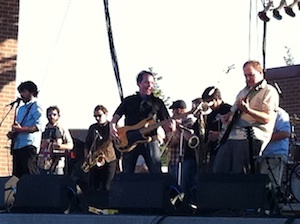 Local superstars Cursive, featuring original drummer Clint Schnase, was the most bombastic (and loudest) of the day. To me, it was worth thirty bucks just to hear them do “The Martyr.” So-called “headliner” Matisyahu’s electronic reggae rap closed out the evening to a dwindling crowd (despite the half-priced beers). 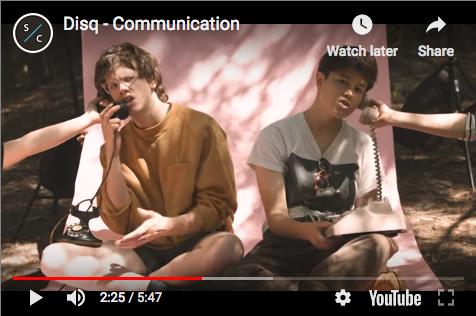 Overall, a great day in the park for any indie music fan. Still, “from an ‘economic’ perspective, the day was just OK,” Brashear said. “We had good ticket numbers, but we found that people didn’t stay for the whole day, which hurt our food/beverage/merch sales. People came just for RHH, or just for Cursive and GBV, or just for Matisyahu.” The “coming and going” is likely a symptom of MAHA not being a true “festival” — a multi-day event where people have to commit (due to traveling and camping) to stay for the duration. For MAHA to expand to something like that next year (and yes, there will be a “next year”) the festival will need to find a “presenting sponsor,” which it lacked this year. 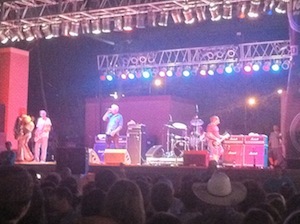 Guided By Voices after sundown at MAHA 2011. Then there’s Aksarben Cinema, who I’d been told was livid after discovering during last month’s Playing With Fire concert, also held at Stinson, that they had some sound “leakage” problems that caused Harry Potter fans to experience Sharon Jones and the Dap Kings from their theater seats. The buzz Saturday was that the theater, which is the central village draw, was going to put its foot down for future festivals. So I did. The Smurfs movie was playing in No. 5. I stretched my eardrums as much as I could, and thought I heard something, maybe a low rumble, but I couldn’t be certain. No. 6 was seating for Harry Potter. Pre-movie commercials and music were playing. Again, I heard nothing. Matisyahu wasn’t “Cursive loud,” but they were certainly earplug loud. Instead of fighting it, the theater needs to figure out a way to tie into MAHA, that is if it’s held in the park next year. If it were up to the fans I spoke with, it would be. They all said they preferred Stinson’s cool grass lawn to the sun-baked concrete slab of Lewis & Clark Landing. But for MAHA to grow into a real multi-day festival, it’ll need to find some place even bigger and better than both those locations.